Tourism promotion comes in all shapes and forms, and there is a new platform for the younger generation, the YouTuber. YouTubers are vlogging personalities who blog online about their daily lives, and the Central Dalmatia Tourist Board welcomed two British YouTubers, Oli White and Joe Sugg, to the region recently. With three days in the region, it was a challenge to fit in as much as possible, but their trip included white water rafting on the Cetina, partying in Hvar Town and a trip to the Blue Cave. The lads posted various videos of their trip to Croatia, promising that they would be back soon, the most successful of which has been their day at the Blue Cave and on Hvar, which has already attracted an impressive 1.6 million views. Cental Dalmatia is known as a top quality activity and sporting destination, with the city of Split in particular contributing a large number of Olympic medal winners, but did you know that one of the most challenging swims takes place here in late August, a 16km marathon which attracts Olympic gold medal winners to take part? The Faros Marathon in Stari Grad on the island of Hvar will take place for the 40th time on August 29, a challenging race from the harbour of Croatia’s oldest town to the top of the Kabal Peninsula (8km) and back, and a race which attracts some of the world’s top swimmers from all over the world each year. 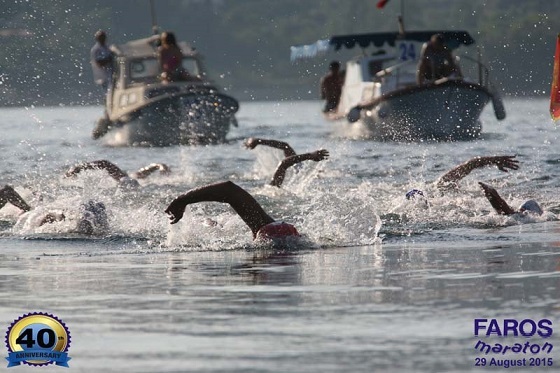 Check out the 2013 race below, and to learn more about Stari Grad as a destination, click here. Official statistics are out, and it has been another excellent month for tourism in Central Dalmatia, with tourism up for both arrivals and overnight stays on the bumper month of July, 2014. In all there were 664,203 arrivals to the region in July 2015, up from 594,010 for the corresponding month last year, an increase of 12%, and overnight stays were also sharply up, to 4,182,341 from last year’s 3,772,987, a rise of 11%. Tourism for the year so far – both arrivals and overnights – is up 10% for the first seven months of the year. To learn more about the sensational tourism offer of Central Dalmatia, click here. 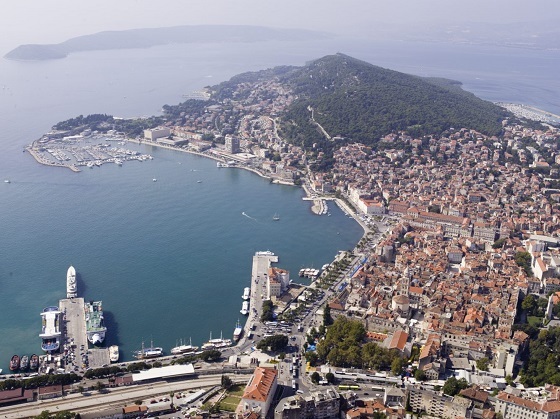 More good news for one of the hottest destinations on the Adriatic coast – the city of Split. The Dalmatian capital and the pulse of Central Dalmatia has been named as the 2015 winner of Vecernji List’s annual Tourist Patrol, with an impressive 93 points. The team from the national daily go undercover into Croatia’s coastal destinations each year to assess the destination in terms of attractions, quality and service, and Split was named the clear winner by the Vecernji team. There was more good new for Central Dalmatia, as Hvar was named joint second. 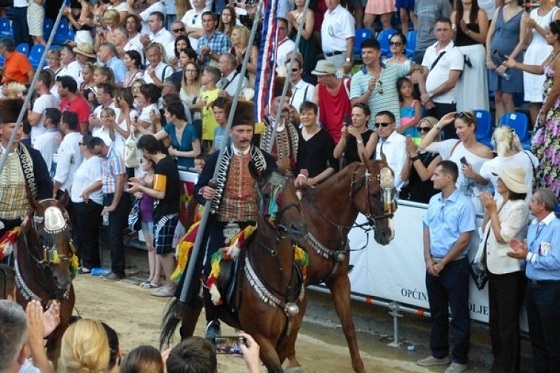 It has been one of the most extensively promoted events in Croatia this year, from the Sinj Tourist Board in Chicago and New York to the Alka knights parading on the streets of Split, Zagreb and Brussels, but finally the preparations came to an end on August 9, and the competition began – the 300th Sinj Alka Knights Tournament! After Prime Minister Zoran Milanovic opened the new Alka Museum, it was the turn of President Kolinda Grabar Kitarovic to preside over the event, which has taken place every year since 1715 to commemorate the defeat of the Ottoman Turks in the Siege of Sinj. And in a very competitive field, our congratulations go to Frano Ivkovic, the winner of the 300th Alka. Watch him in action below as he grabs one of the two direct ‘u sridu’ lances out of three. Learn more about Sinj and its Alka heritage here.